Traditional cardigan in brown. 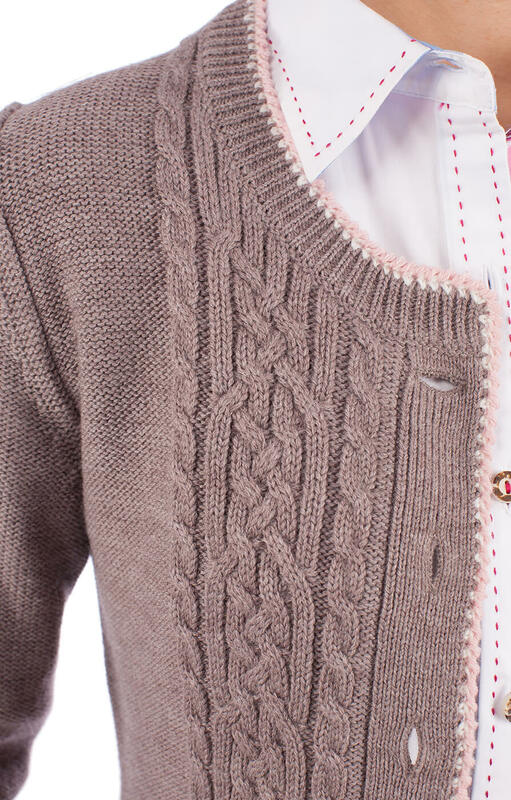 A lovely mid-brown cardigan made from 70-percent Merino wool and 30-percent polyester. 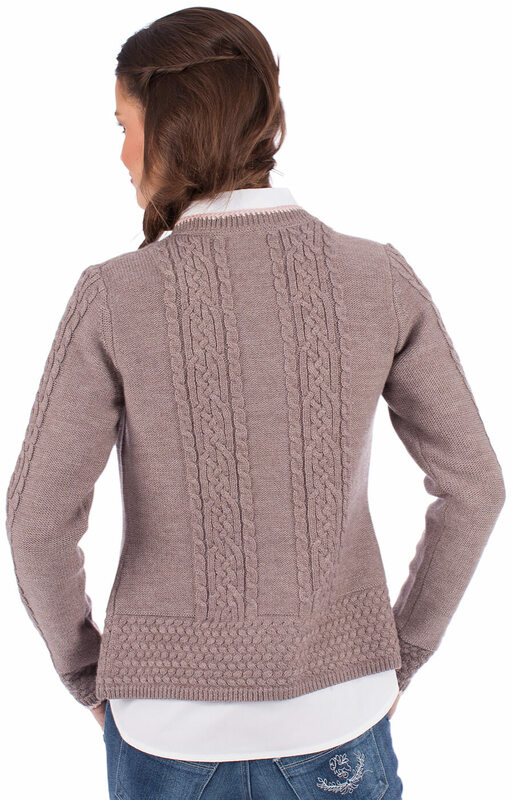 With long sleeves, perfect for chilly evenings, and a round neckline. It comes with individual buttons, a traditional charivari feature and a contrasting cream trim along the seams.